I spent a lovely afternoon with Lyn Harris at her new venture, Perfumer H, last week. 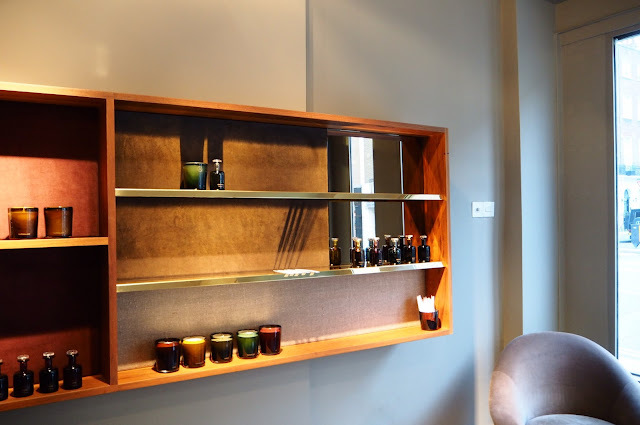 In the stripped-back luxury of her Marylebone studio, we chatted parosmia, hyperosmia, the hard work that goes into making a life’s work look so simple, so effortless and so elegant, and, of course, we chatted perfume. 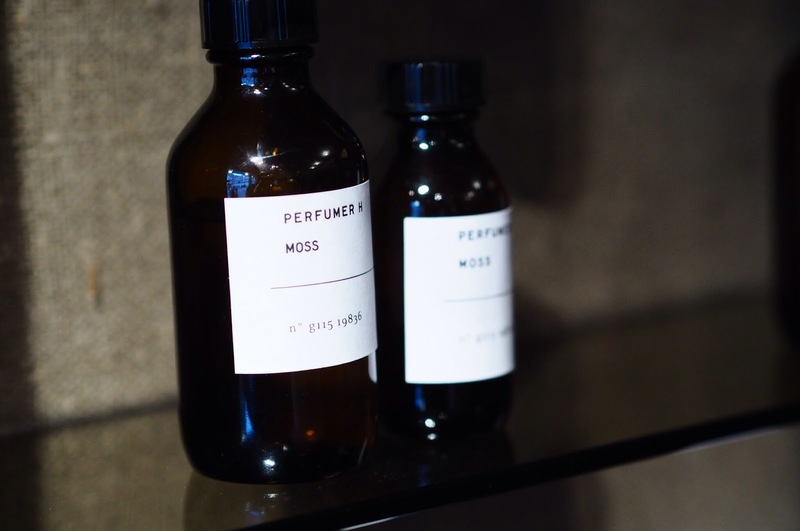 The idea behind Perfumer H is deceptively simple; essentially a collection of five fragrances to be released twice a year. Each adapted to suit the season, there will be one perfume for each of the “classic” five fragrance families; which to Perfumer H are citrus, floral, fern, wood and oriental. 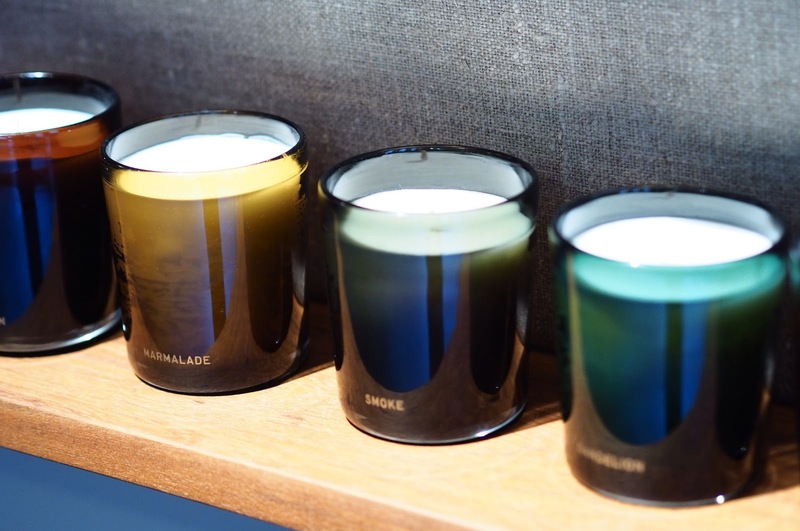 In addition, there are five home fragrances in candle form which have five separate fragrances of their own. Alongside the “ready to wear” (if you will) collections, there are also a set of permanent Laboratory Editions which are complete fragrances in their own right, and can be bought either as individual bottles (I highly recommend Rainstorm, and the Eau de Brouts, oh, and the divinely rosy and gentle “Powder”), or you can buy the formula completely from the company, claim it entirely as your own, and it can’t be bought by anyone else ever again. An unusual take on the “limited edition”, this! 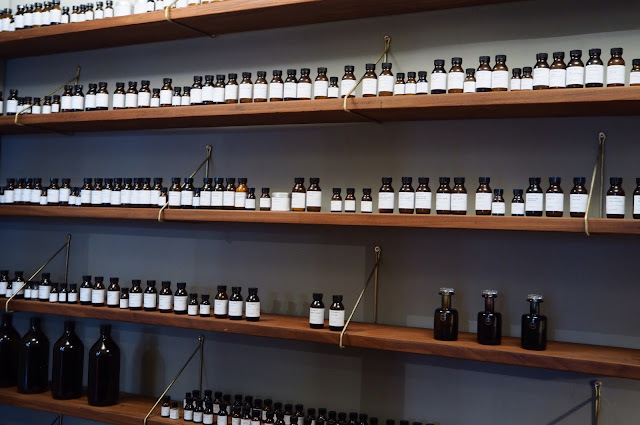 The fragrances are actually permanent collections, but once someone buys the formula, you can’t replace any bottles you might have bought previously! Like a scented Russian Roulette. There’s also a totally bespoke service, where for £15,000 you can have a formula developed from scratch to your own specifications. Luckily for us mere mortals, the ready to wear collection comes in a little cheaper, starting at £195 a bottle, which includes one of these beyond-beautiful hand-blown glass flacons from Michael Ruh, plus two 10ml travel sprays and a funnel for decanting. So, how do they smell? Cologne begins with a bright and amusing bitter orange note. It’s not too sharp, as it might be with a lemon-citrus, but it is still lively and fresh. This soon gives way to a gloriously green grass, herb and mint accord, which feels oddly warm and very much smoother than you would expect from a cologne. Not as bitter and spiky as you would want from a summer splash, this has galbanum and frankincense in the base that makes for a rounded finish. 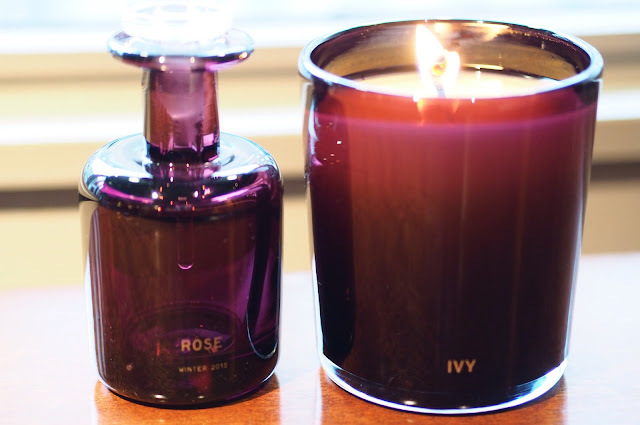 Rose is a luminous and solar fragrance, radiating light and joy from the skin when you wear it. Imagine a bright pink rose, lit from within, and that is the essence of rose that Lyn has managed to capture here. Some of the notes include carrot seed and black pepper, and there’s a wonderfully cuddly amber base beneath. It lacks that sour and occasionally placticky effect you can get with some roses, and it seems oddly modern as a result. This is not your grandmother’s rose. Leather. The “fern” family of fragrance is generally a masculine one (you might know it as “fougere”), but Perfumer H is a soft and smoky take on leather with a heart of rose and iris. 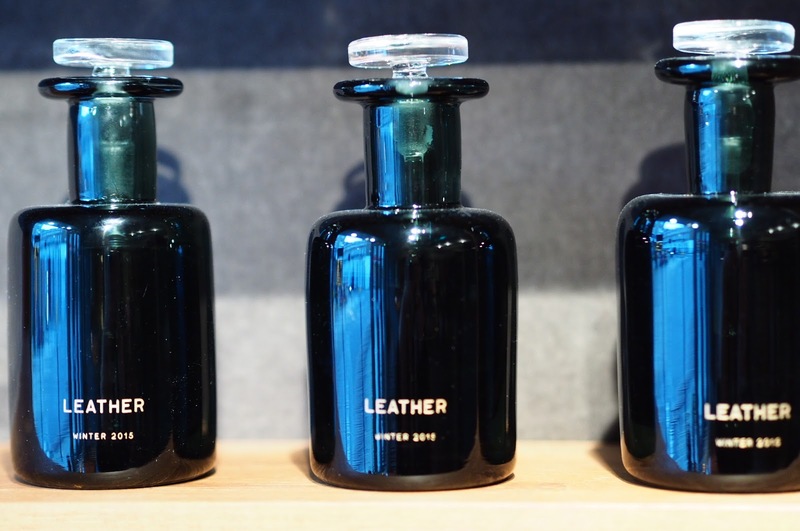 As clean as a “leather” can be, yet still be interesting, Leather will suit anyone who likes a little smoke in their fragrance. Velvet. I’m actually in love with Velvet, and I’m not even sure my still-damaged nose can even smell the half of how really very lovely it is. 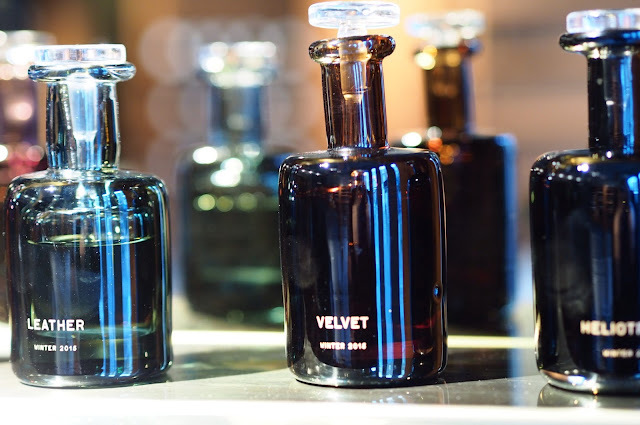 A blend of bergamot, galbanum and angelica, over a heart of iris and violet, completed with a base of oakmoss and frankincense, Velvet is sophisticated without being over the top, and ladylike without being too polite. I applied it this morning, and MrLippie (who has smelled literally hundreds of perfumes on me without ever really paying any attention to them) stopped in his tracks when I emerged from the bathroom, and asked me what I was wearing. “It smells really classic”. And so it does. Velvet is both classic and beautiful, and it stops men in its tracks. What more could you want? Heliotrope begins bright and citrus-fresh before mellowing into a sweet and gorgeous floral with heliotrope and vanilla, with just a hint of frankincense in the base. Lovely and wearable, but for me the vanilla in the formula (my parosmia struggles with vanilla, still) overpowered the rest of the formula slightly. Your mileage will definitely vary – for the better – with this one. The candles again come in the five fragrance families, but the scents differ from the fragrances. They are: Marmalade (citrus) which is orangey and warm, Dandelion (green) which to me smelled precisely like freshly crushed burdock leaves and warm grass on a summer’s day, Ivy (floral) which I thought had a blackberry leaf effect, sour and sweet at the same time. There is also Fern (wood) which was crisp and green, and reminded me of a pine forest – perfect for Christmas-time, I thought, and finally Smoke (oriental), which was – of course – smoky warm and deeply woody from the cedar that is in there. They were all lovely, and any home would be happy to have one. Mine certainly would, anyway. They cost from £95 and are 300g in weight, which is (at a rough guess) around 30-40 hours burning time. 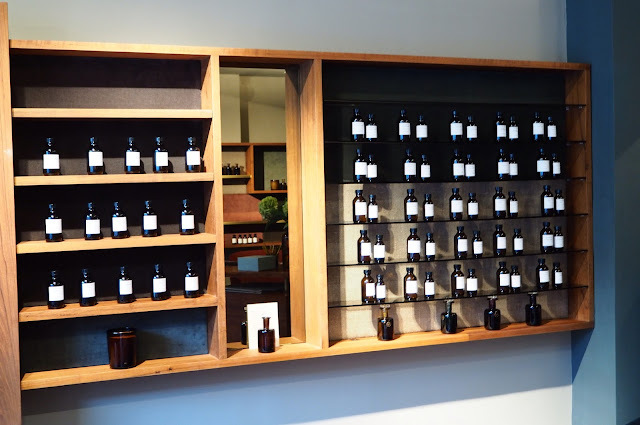 It’s clear that at Perfumer H every detail has been painstakingly worked upon, from the decor through the packaging and on to the products themselves, until literally everything in the store glows with an understated beauty that looks both effortless and deceptively simple. The truth is that nothing this simple is ever easy, and Perfumer H is a real labour of love. Velvet may yet be, even after only a couple of wears, one of my favourite fragrance launches of the year. Certainly it’s hard to think of anything that might top it between now and Christmas. Deceptively quiet, Perfumer H is hard to forget.